Diffuse Intrinsic Pontine Glioma or 'DIPG' has recently been renamed 'Diffuse Midline Glioma' and is the second most common type of primary, high grade brain tumour in children. 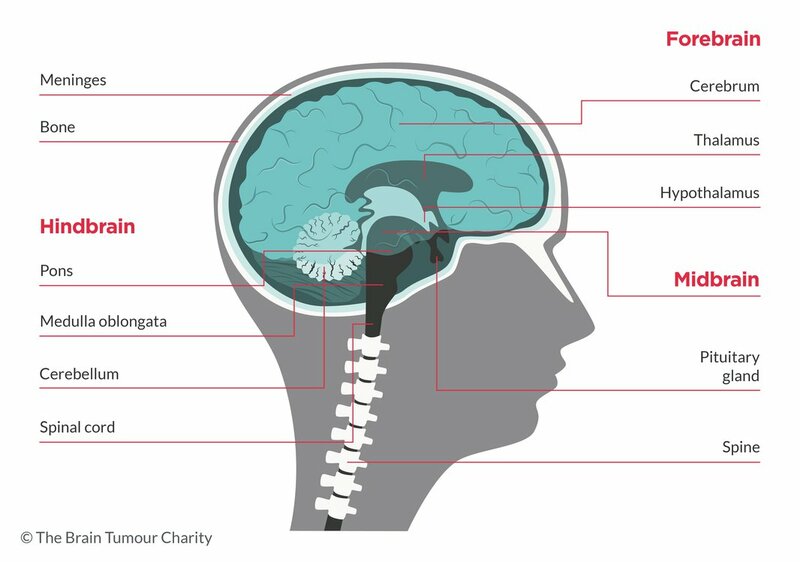 Primary brain tumours are those which originate in the brain rather than having spread there from another part of the body. What are the signs and symptoms of DIPGs? Abnormal alignment of the eyes or/and double vision (diplopia). Weakness of facial muscles or facial asymmetry (one side of the face appearing different from the other). In a relatively small number of cases, growth of a DIPG might block the drainage of cerebrospinal fluid (the fluid which surrounds and nourishes the brain), causing a build up of pressure in the head. This is known as hydrocephalus which is very common in other types of brain tumours. Hydrocephalus can cause symptoms such as headache (especially in the morning), nausea and fatigue. Not all cases of DIPG are identical and a child might show a combination of these symptoms. Find out more about Diffuse midline glioma (formerly DIPG) in our full fact sheet.